Kaduna State Government as well as Skye Bank Plc have joined into a partnership with the goal of increasing the state’s internally generated revenue (IGR). This partnership is expected to accelerate the pace of development in the state. Kaduna State Governor, Alhaji Mukhtar Ramalan Yero was quoted to have disclosed this in Kaduna while launching Point of Sale (PoS) terminals for the revenue collection scheme of the state, powered by Skye Bank. He also said that the current IGR of the state and the dwindling federal allocation were not enough to develop the state. According to him, his government has a huge budget that was expected to be financed by IGR. He however noted that the internally generated revenue has been stagnant at about N1 billion per month in the past five years, hence the need to develop new and accountable means of revenue collection. “It is against this background that we have introduced PoS to check revenue leakages and other challenges associated with tax collection,” the governor, said. 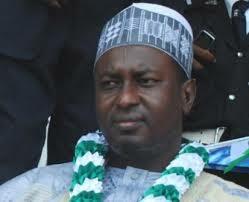 On the government's plan to focus development on tax-paying residents, Yero explained that, residents that evade taxe were the ones who criticise government the most, adding that “only civil servants have been up to date in tax payment in Kaduna State, and I know it is not because many of them want to pay, it is because the taxes are being deducted from source. Highlighting the importance of the PoS terminals in revenue collection, the Regional Manager of Skye Bank and the lead bank for the IGR project in Kaduna State, Alhaji Kawu Mohammed said the project would ensure accountability and ensure taxes get to the government coffers.